Be the only one after her heart when you present these beautiful earrings that will make her fall in love with you all over again. 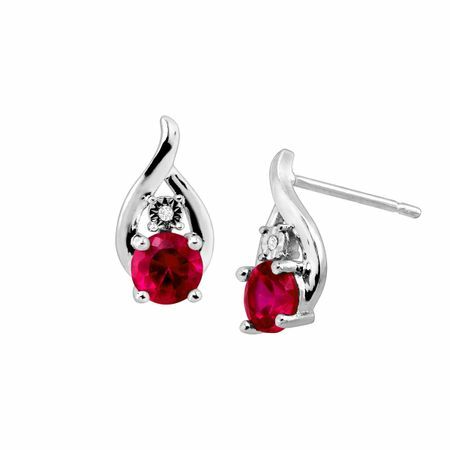 These charming studs feature round-cut created rubies, totaling 1 1/2 ct, nestled in a sleek sterling silver droplet stage with gleaming diamond accents. Pieces measure 1/2 by 1/4 inches.